When April 20th rolls around, the air gets a little thicker. Not because spring has sprung and pollen is wreaking havoc on your sinuses. It’s because 4/20 is National Marijuana Day, and stoners around the world are taking to the streets (or more accurately, their living rooms) to hit bowls, bongs, joints, splifs, blunts, pipes, dabs, pieces and so much more as the celebration dictates. Because this recreational drug has such a couch potato effect on most users, April 20th is a day to sit back, relax and binge watch a Netflix series or four. The last thing you want to do is stand up and make yourself a bowl of cereal, let alone go out to a restaurant. Luckily for you, we have cultivated a list of the best food delivery apps to quell your lazy-induced needs. Foodler – If you are celebrating the holiday with a group of friends, this app will let you group order with ease. Just make sure you aren’t in Hawaii or Alaska because it’s only in the contiguous states. DoorDash – This app really lets you get down to the specifics. If you want to enjoy a pizza with odd toppings or a sandwich with no bread, DoorDash is here for you. 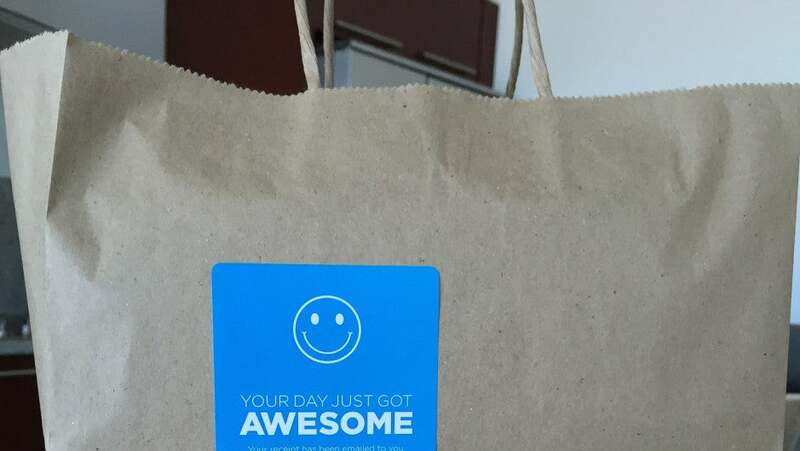 Eat24 – This food delivery app is a subsidiary of Yelp so you know it’s going to be great! Check out the picture-filled website to decide what’s best for your munchies. Photo: Flickr / Yelp Inc. (See image). PostMates – Unlike other food delivery apps, PostMates will delivery groceries right to your front door. Pizza Hut doesn’t deliver Doritos, but you know who does? PostMates. GrubHub – As the first big name in the game, GrubHub has established itself as the gold standard for food delivery. Be assured you will get your order with grace and speed. Campusfood – Students get the munchies too. And this food delivery app is support at 300 campuses across the country. You can even earn reward points for each delivery. 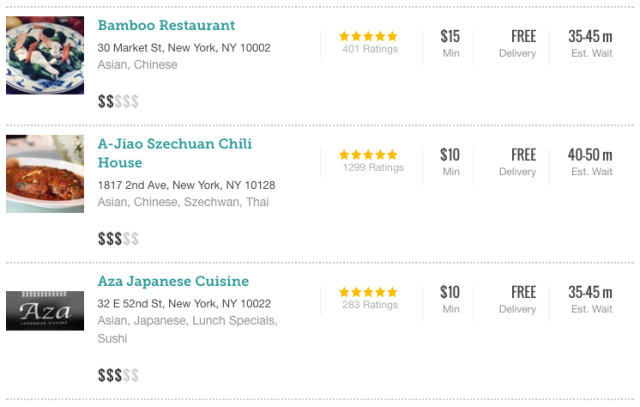 Seamless – This company almost makes food delivery too easy. With dozens of customizable options for price and food, it’s no wonder seamlessness is on the menu.